Melissa did such an amazing job for our wedding! After someone cancelled on me last minute Melissa jumped in and all I can say is I’m glad they cancelled, Melissa is not only a beautiful and bubbly lady to spend your morning with she listens to want you want and does wonders with hair!!! I loved it!!! Thank you so much Melissa, highly recommended!! Mickeela was great! My mother in law and I had our hair and makeup done by Mickeela for a family wedding. We had travelled from NSW and based our choice purely by reviews and their website. A risk well worth taking. Mickeela understood exactly what we wanted without showing her any pictures. And Melissa’s communication leading up to the event was outstanding!!!! I absolutely loved having Melissa as a part of my wedding day recently! I adored her from the second I met her for my trial and her vibrance and heartwarming spirit just made me glow. She is incredibly talented at what she does and not only does she allow you to feel amazing with her knowing exactly what style will suit what personality and look, but she also makes you feel very special as a person. I am lucky enough to now call her my friend and felt honoured to have her beside myself and the girls as well as the mothers on the 28th April 2017. Such a magical day and starting it with such a beautiful smile and aura from Melissa made it truly worthwhile! I felt Like a princess! I cannot wait to travel again just to be able to have that experience all over! Thank you so much Melissa from the bottom of my heart! You are amazing! How could you not give Melissa 5 stars! I give an 11/10! I absolutely loved the 2 trials I had. Melissa listened to what i wanted and executed it brilliantly! I cannot recommend you enough Mel thank you so so much you made me look and feel amazing for my wedding day as well as my mum/ grannie / two little girls and 4 bridesmaids. You are a superstar!! Melissa was amazing for my sister’s recent wedding. Her professionalism and amazing hair styling was out of this world. 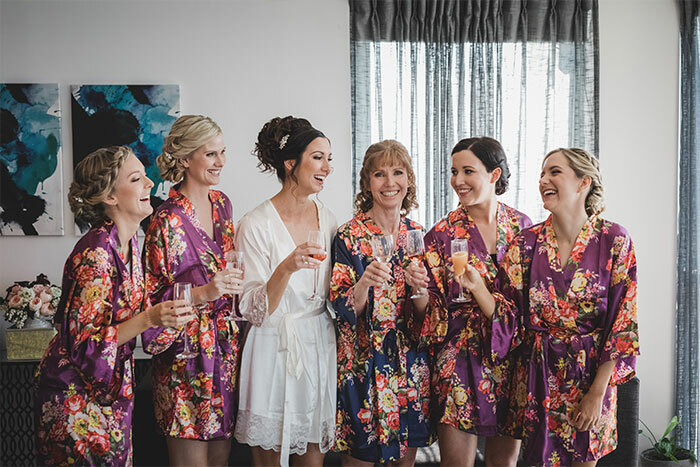 We (bride and bridal party) felt gorgeous and that was due to Melissa and Bek (makeup). I can completely recommend Melissa and her company. We got married in the Gold Coast but we live in Toronto, Canada. Planning a wedding and finding a hair stylist while outside the country is very difficult. Melissa made the whole process so easy which really helped. She was flexible in booking in my trial as we only arrived 6 days before the wedding. I showed her maybe 9 pictures of hair ideas that I liked. She was able to put it all together and it was exactly what I wanted! She was amazing! She’s extremely professional and loads of fun. I had such a great time getting ready with her on my day. My bridesmaids and Mum’s hair was fantastic and I’m just so happy with what she did with mine. I can’t thank her enough! Amazing! Melissa came to us in our hotel. She was friendly and made us feel very comfortable. Melissa styled our hair for a wedding and we absolutely loved them and all night we received compliments on what an amazing job our hair stylist had done!! She did a wonderful job making my 5-year-old daughter feel comfortable while getting her hair done too. I absolutely recommend giving her a go if you want something that looks gorgeous and lasts the day. Thank you Melissa! Hi Melissa! Thanks you soooooooooo much for everything on my wedding day, I absolutely loved EVERYTHING, everyone’s hair was AMAZING thank you so much! The girls looked beautiful and I felt like a princess! I also wanted you to know that I will be recommending you to EVERYONE, not only did u do such a fabulous job of our hair but you are such a lovely person and myself and all the girls agree that you felt like one of our girlfriends on the day! Thank you so much for staying back and making sure my hair was just perfect before I left. You were wonderful! Take care and thanks again so very much from all of us! 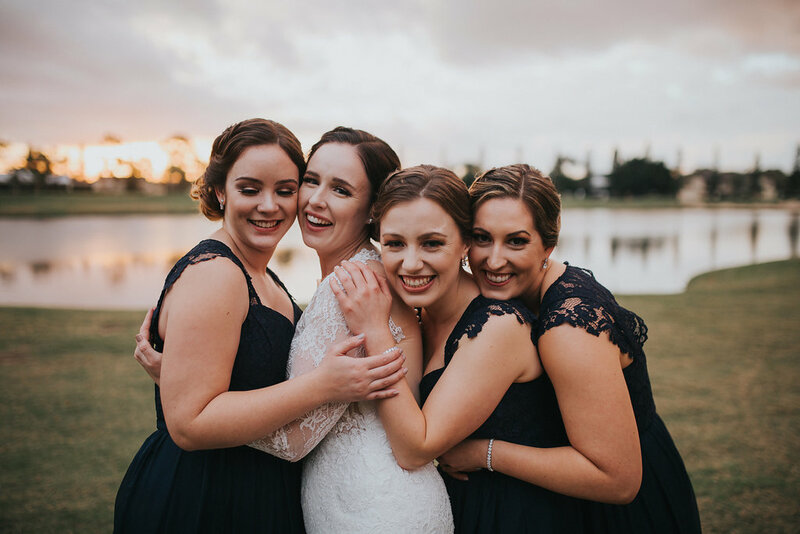 Melissa, wow you are soooo amazing and I feel so grateful that I was able to have you do mine and my bridal party’s hair on my wedding day! You are so creative and can work with any type of hair! 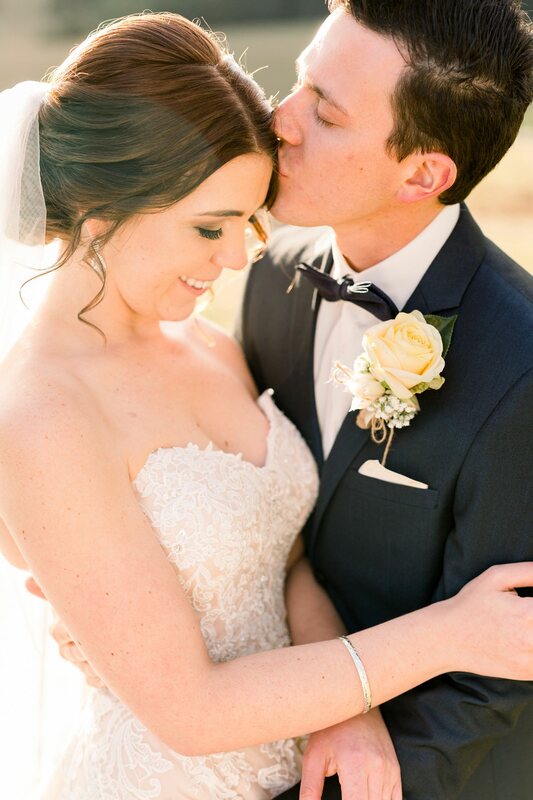 I absolutely loved my wedding hair! It was just as I had imagined and I received so many compliments! 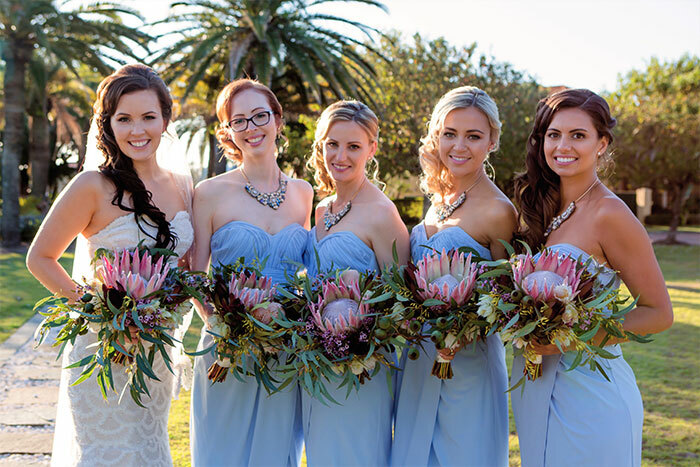 My bridal party of 9 all looked stunning as well thanks to you! Not only are you an amazing hair stylist but you are such a down to earth, bubbly and kind person. You bring a smile to everyone who meets you, and you made my wedding day so much fun! Thank you again for everything you have done for me! 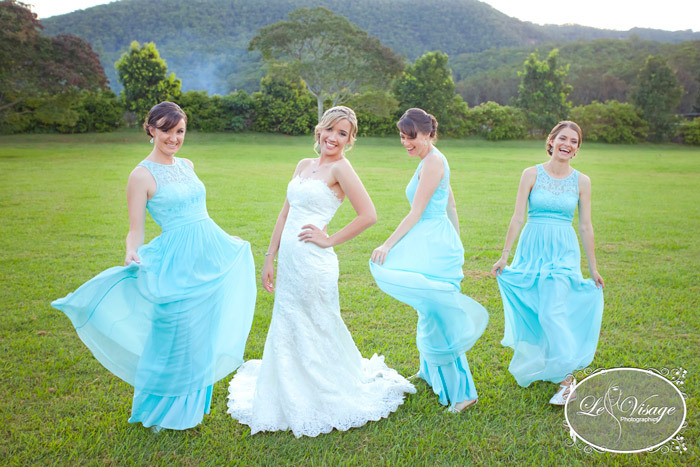 Melissa is such a beautiful and cheerful person, exactly what you want to experience on your wedding day. 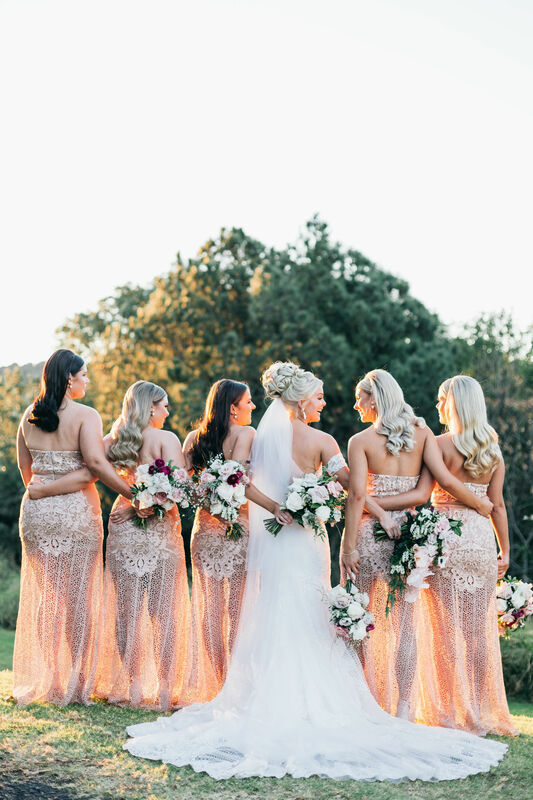 Her skills are exceptional and she was able to create such stunning hair styles for myself and my bridesmaids! She had such beautiful ideas to share, listened to all of my ideas, and took the time to understand me and my style ! You are a very lucky bride if Melissa styles your hair. 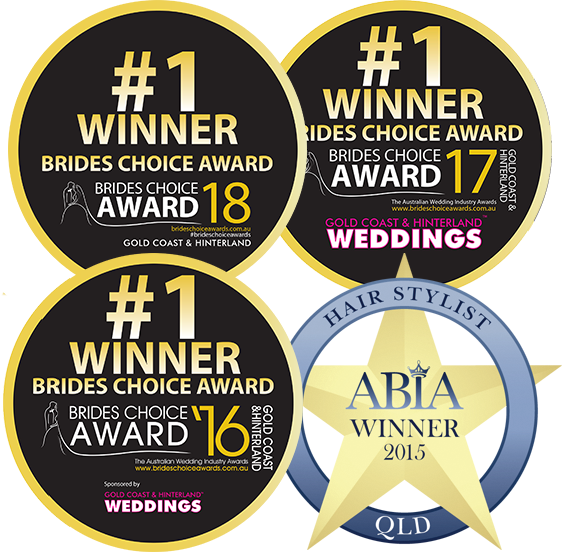 If you’re looking for a wedding hair dresser – look no further! Melissa is THE BEST without a doubt. 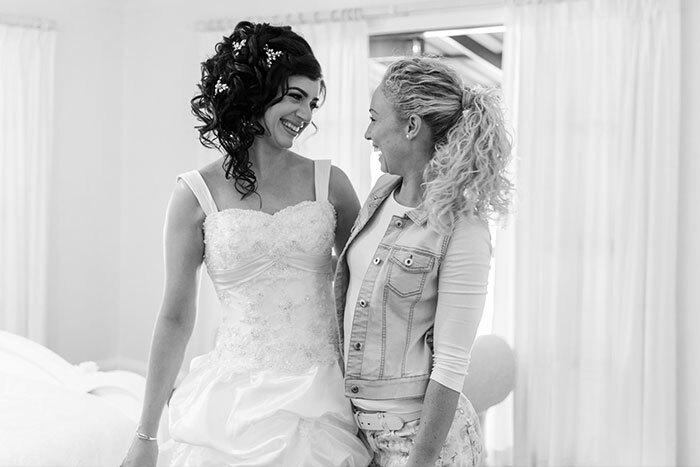 I was a very fussy bride with my suppliers and Melissa was the most professional, lovely lady I came across. I had an extravagant up style for my look and she absolutely nailed it. I also had two trials. On the day Melissa brought such a calming, positive vibe, she even went the extra mile to help my very nervous mother get dressed. Seriously the best! Melissa is an amazing, bubbly, vibrant person and amazing hair stylist. She did an absolutely amazing job on my hair for my wedding, my 2 bridesmaids, my mother, aunty and my 2 flower girls. Nothing was too hard and I couldn’t have dreamt of a better result. My whole bridal party were receiving compliments all night. Melissa was also so great with my 9yo and 3yo flower girls, they looked absolute gorgeous!!! Planning our wedding from Perth had its challenges but Melissa’s efficiency and communication was amazing. I did not have any concerns right from the start. Hair I come was the best choice I could have made! Melissa is the most lovely person you will ever meet and made me feel like I was the most special bride, she really made my day. My hair was so perfect, she is so unbelievably talented. Thank you Melissa for the best hairstyle I could have ever imagined! I was one of those fussy brides who changed their mind on hairstyle a number of times and right before the day of the wedding. Mel was always supportive and never questioned any changes. She did one hell of an amazing job on the day she had me in tears with how great we all looked. Everyone at the wedding said our hair was on point I will definitely recommend Mel and use her again. Melissa is truly talented at what she does! Melissa did my hair and my bridesmaids hair for my wedding and she was so wonderful. Always cheery, smiling and fun loving… Exactly what you need on the morning of the wedding amongst all the chaos. She was a very much needed presence and she made my morning wonderful. She did an amazing job of my hair .. My hair is very thin and after going to 2 other hairstylists for trials (and being disappointed), I was very doubtful I could get the hairstyle I wanted with my type of hair…Melissa did an amazing job on my hairstyle. Absolutely stunning!! Better than I had ever expected! Thank you so much Melissa!! I am unsure how to provide a star rating however I would give Melissa 5 stars! Melissa is very professional, friendly and so talented at hair. 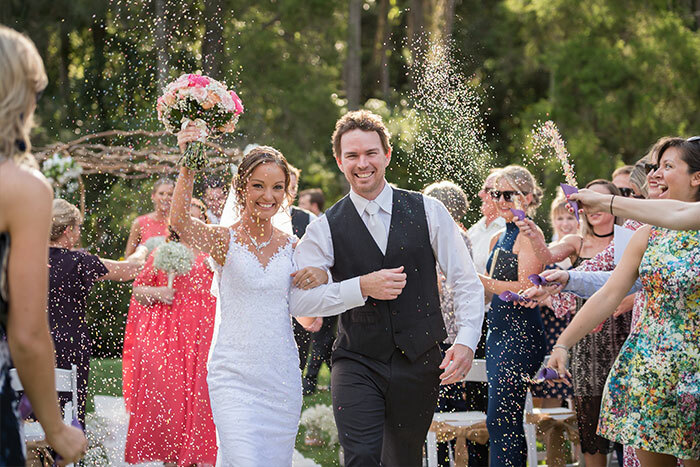 I had a destination wedding and Melissa was extremely friendly and accommodating leading up to the big day answering any of my enquiries. On the day, Melissa attended the motel with the most friendly personality and positive energy which instantly made me feel comfortable and got me excited for the big day ahead! 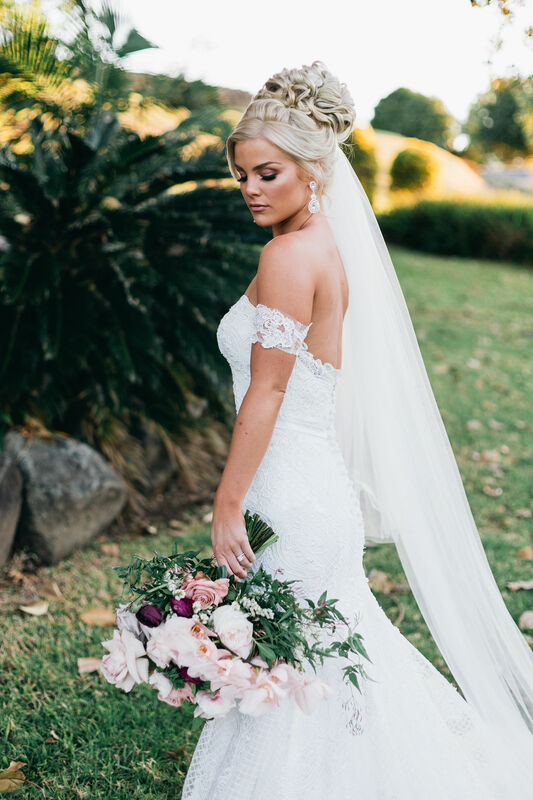 Melissa created the most beautiful hair styles for my myself, mother, bridesmaids and flower girl and numerous guests have commented on how beautiful they were. In addition, we all can’t stop saying how nice and friendly Melissa was which I think is important and contributes to a positive experience of getting married. I would highly recommend Melissa to be a hair stylist for a wedding, excellent service, talented and extremely friendly! Thanks Melissa! Hands down the BEST hair stylist going around!!! I showed Mel what I wanted and that is exactly what I got for my bridal party for my wedding! Such an awesome chick and so much energy… Amazing!!! Melissa came out to my home for a trial and my wedding day, and did the most exquisite job with my hair. Especially since she had to colour match my clip in hair extensions to my hair for a beautiful long curly wedding hairstyle. She was able to do my hair and my two bridesmaid’s hair in record timing with the exact styles I wanted. She did a wonderful job and was so happy and fun to be around. Thank you so much. Melissa is very professional and friendly, love having my haircut regularly! From my wife's hair to the bridesmaids, everyones hair looked fantastic. We cannot thank Melissa enough for her terrific work! We've been using Mel for about 5 years now, she does the family, even my mum. I recommended her to my friend for her wedding and she did a fabulous job for all of us in the bridal party. Mel even helps when I am trying to get my 11 year old to do his homework, she participates in the challenge questions which encourages him to complete his homework without too much drama. The convenience of her coming to our home is a plus. She's a reliable bright bubbly lady who loves her career. Mel is so skilled at what she does! Her passion and talent can't be beaten, and coupled with the convenience of an in-home service, I would never need or want to go to a salon again. Mel's friendly nature makes you feel immediately comfortable, and she is always happy to go through hairstyle options - if like me, you are just a bit indecisive! Similarly, if you know exactly what you want, Mel will deliver exactly that - which can be a rare quality in a hairdresser. Expect no less than complete hair satisfaction from this one!